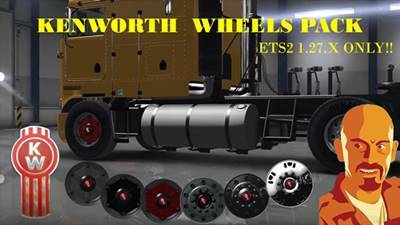 ATTENTION: DOES NOT WORK ON PREVIOUS VERSIONS OF ETS2 DUE TO FORMAT CHANGE OF 3D MODELS IN NEW VERSION 1.27.x. YOU CAN SHARE FREELY BUT ONLY USING THE ORIGINAL LINKS. UPLOAD THE FILES TO OTHER SERVERS IS NOT PERMITTED. SUBSCRIBE TO MY YOUTUBE CHANNEL TO BE UPDATED ABOUT NEW MODS! If you like my work, you can help me keep moving forward and creating more and better mods. No amount is too small. THANK YOU. 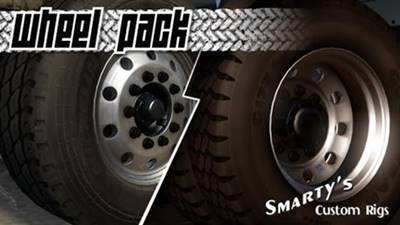 SiSL Megapack v2.5.1 for ETS2 1.27.x & for ATS 1.6.x. 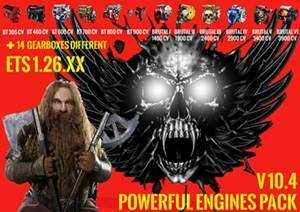 ATTENTION: DOES NOT WORK ON PREVIOUS VERSIONS OF ETS2 DUE TO FORMAT CHANGE OF 3D MODELS IN NEW GAME VERSIONS.. This mod contains an assortment of wheels and tires, currently with a focus on mixed-service applications. It will be updated with additional wheels, tires and accessories as they are completed. 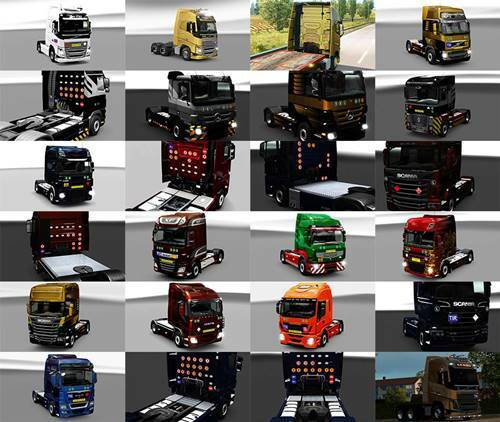 With which trucks can I use this mod ?. in the mods manager of the game itself. Installation of signs on trucks. The mode is represented by over 250 signs marking trucks. Signs: 3 / 4 / 5 / 6 / E / E (yellow) / EEV / G / H / H (yellow) / IV / L / S / U / III / V / VI / R (yellow) / TIR / No TIR / T.I.R. / No T.I.R. And many others. These signs are located at the front of the truck cabin. K* = required in Germany for vehicles making use of exceptions to the Motor Tax Law. ADR signs: ADR / 22-1951 Argon Refrigerated Liquid / 22-1977 Liquid Nitrogen / 22-2187 Carbon Dioxide Refrigerated Liquid / 23-1965 Liquefied Petroleum Gas LPG / 23-1971 Methane Compressed or Natural Gas Compresed With High Methane Content / 30-1202 Diesel / 30-1223 Kerosene / 30-1267 Crude Oil / 30-1300 Turpentine Substitute / 30-1863 Fuel Aviation Turbine Engine / 30-1999 Tars Liquid Including Road Oils And Cutback Bitumens / 33-1090 Acetone / 33-1203 Gasoline / 33-1219 Isopropanol (Isopropyl Alcohol) / 44-2448 Sulphur Molten / 80-1824 Sodium Hydroxide Solution / 80-1830 Sulphuric Acid / 80-2796 Sulphuric Acid (with Not More Than 51% Acid) / 86-2809 Mercury / 225-1073 Oxygen Refrigerated Liquid / 225-2201 Nitrous Oxide / 90-3082 Environmentally Hazardous Substance Liquid / Dangerous For The Environment / Flammable Materials / Flammable Materials 2 / Flammable Materials 3 / Flammable Solid Miscellaneous Goods Hazard Class 9 Material / Radioactive 1 / Radioactive 2 / Radioactive 3 / 30-1866 Resin Solution Flammable / 33-1866 Resin Solution Flammable / 30-1307 Xylenes / 33-1307 Xylenes / Infectious Material / Toxic Gases / Toxic Material / Corrosive Material / 99-3257 Elevated Temperature Liquid N.O.S. And many others. These signs are located at the front of the truck cabin. Speed limit signs: 30 / 40 / 50 / 60 / 70 / 80 / 90 / 100 / 110 / 120. The combination of red white and yellow red. These signs are located at the rear of the truck cabin. Country symbols: Austria / Belarus / Belgium / Bosnia and Hherzegovina / Bulgaria / Croatia / Cyprus / Czech Rrepublic / Denmark / Ex Yugoslavia / Estonia / France / Germany / Greece / Hungary / Island / Ireland / Italy / Latvia / Liechtenstein / Lithuania / Luxembourg / Macedonia / Montenegro / Netherlands / Norway / Poland / Portugal / Romania / Russia / Serbia / Slovenia / Spain / Switzerland / Turkey / United Kingdom. These symbols are located at the rear of the truck cabin. -It is possible to place it on dashboard or above dashboard (place, where hanging toys usually installed). Mod is tested on ver. 1.26.x. 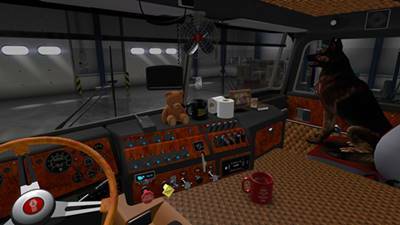 Cb radio, which placed on the dashboard is compatible with every truck, which has red upgrade slots on its dashboard. 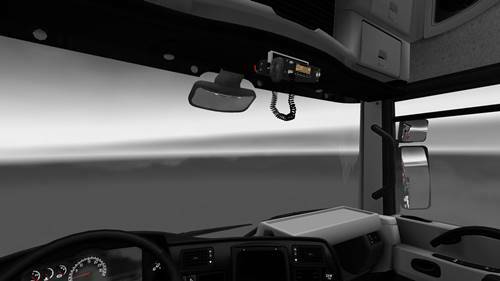 Cb radio, which placed above dashboard is compatible with all vanilla trucks and most european truck mods (see supported trucks.jpg, provided with mod for more info). All donations are voluntarily! Every donation counts! Thank you!